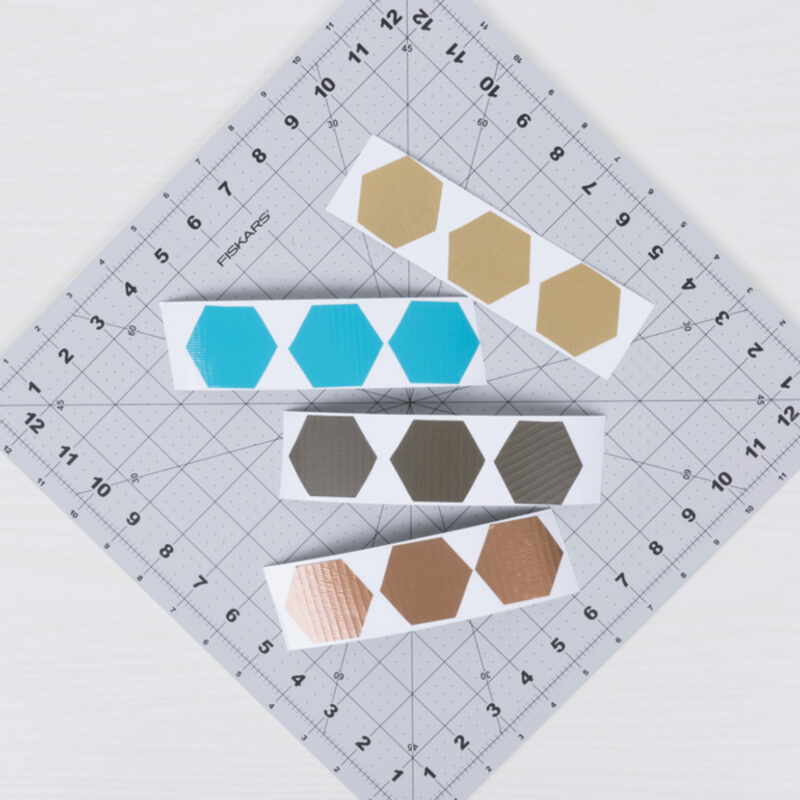 Using your template, draw and cut out hexagons from your favorite Duck Tape. 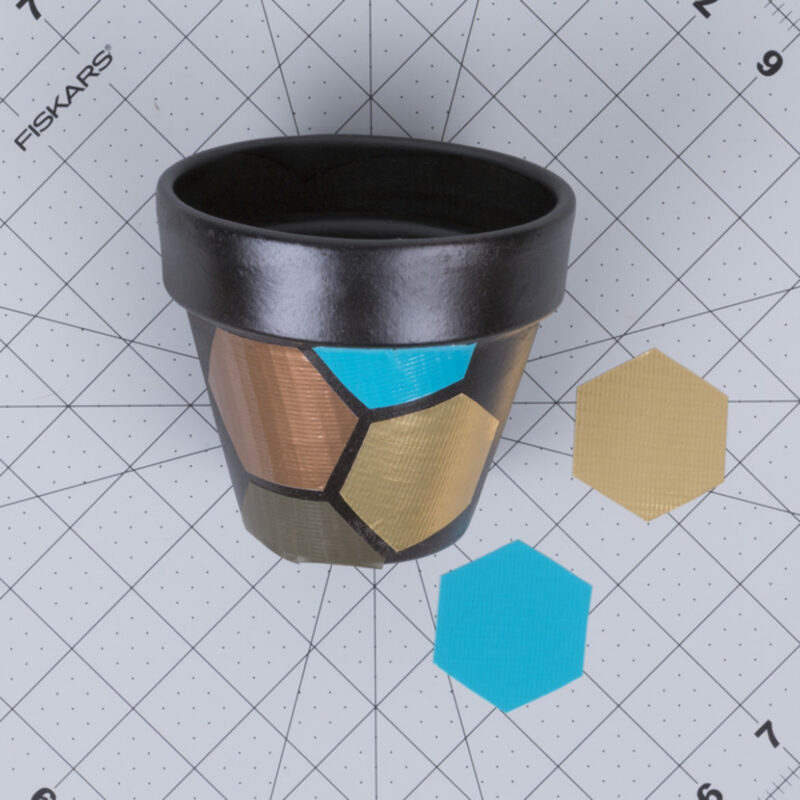 Attach your hexagons in a pattern on the flower pot. 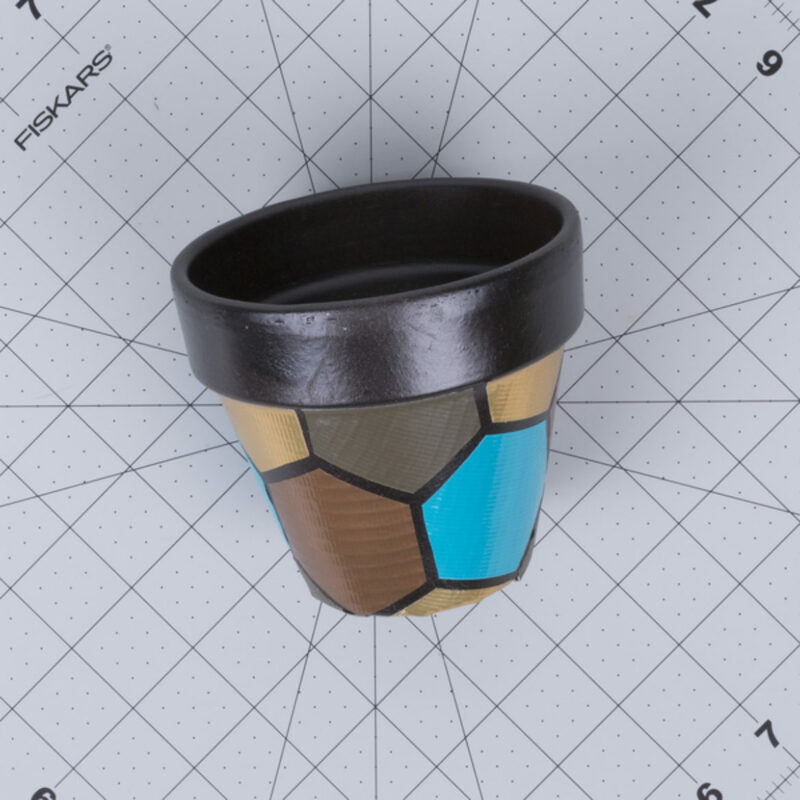 Continue adding your shapes until the entire pot is covered. Layer around a 2 in. 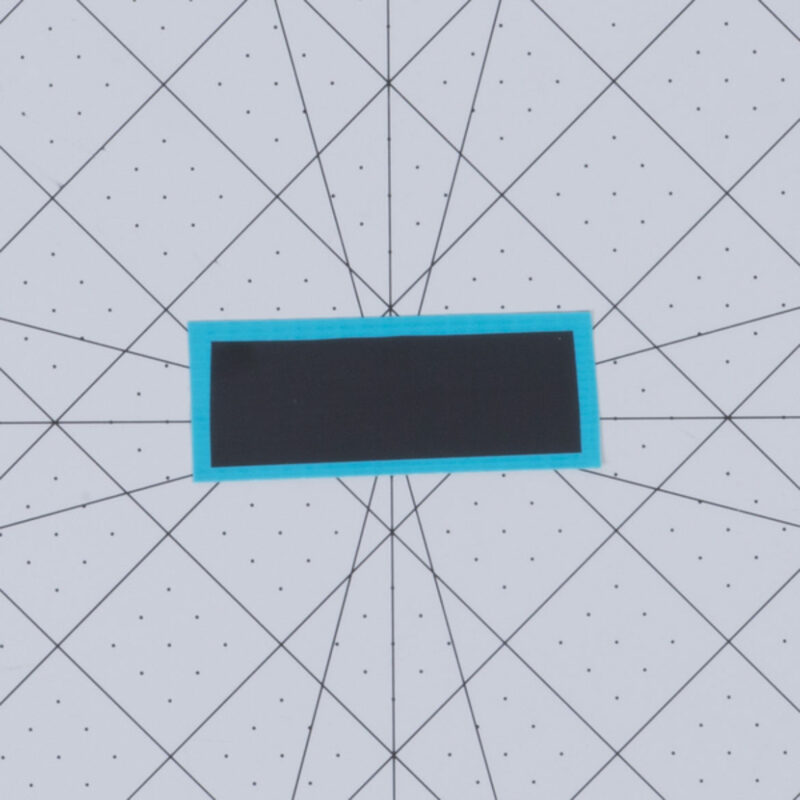 strip of Duck Chalkboard tape and layer it onto a strip of Duck Tape that is slightly larger. Add this label to the trim of your pot. Cut a small slit at the bottom, sticky strip of your petal. Overlap the left side of your petal with the right, forming a 3D petal. Repeat these for the other 3 petals and attach all 4 together to form a flower. 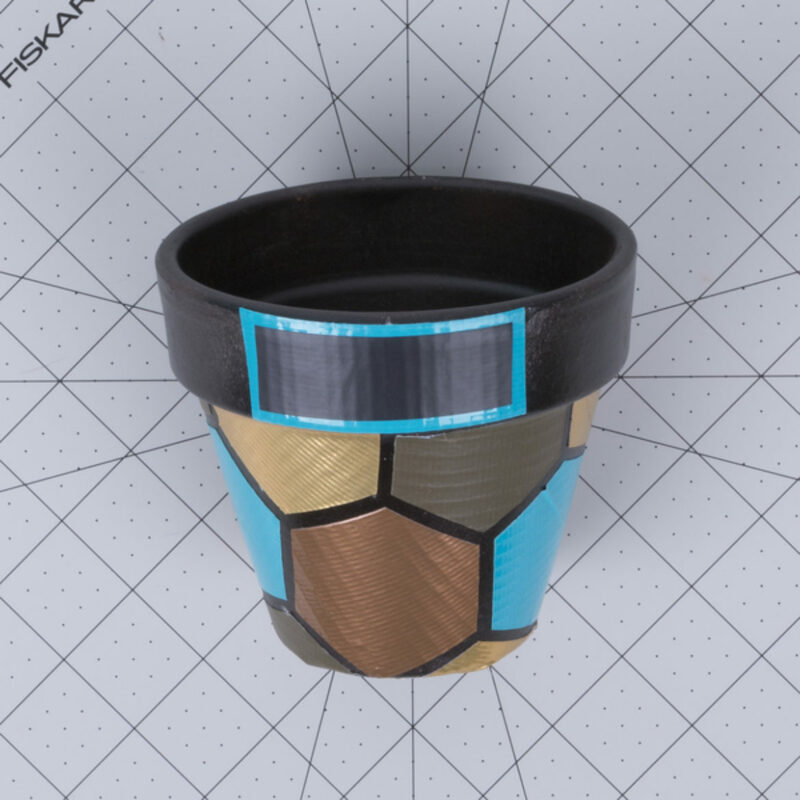 Secure your flower with a circle made out of Duck Tape®. 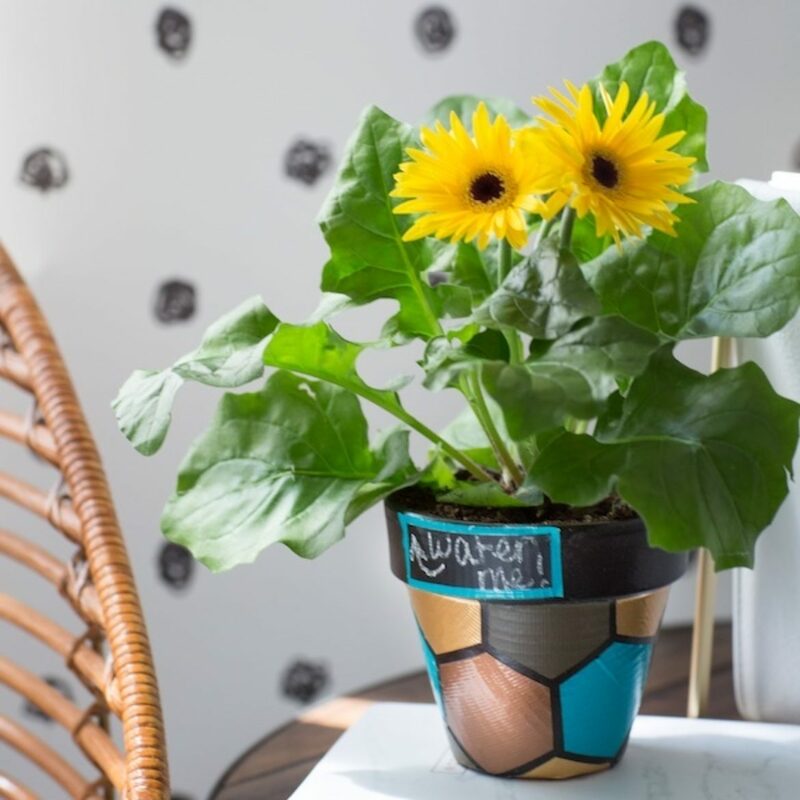 Attach your flower to your jar with strips of tape. Don't get tangled up, use Duck Tape®! Frame your memories with the colors of spring.